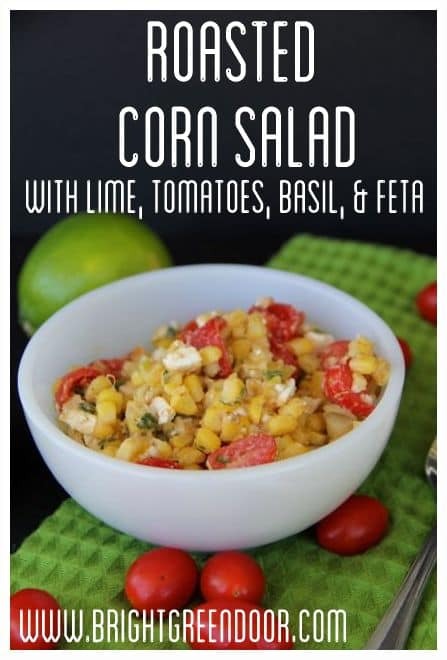 A few weeks ago my mom came to North Dakota, and taught me how to make this AMAZING roasted corn salad. It was so amazing that I have made it FIVE times since then. 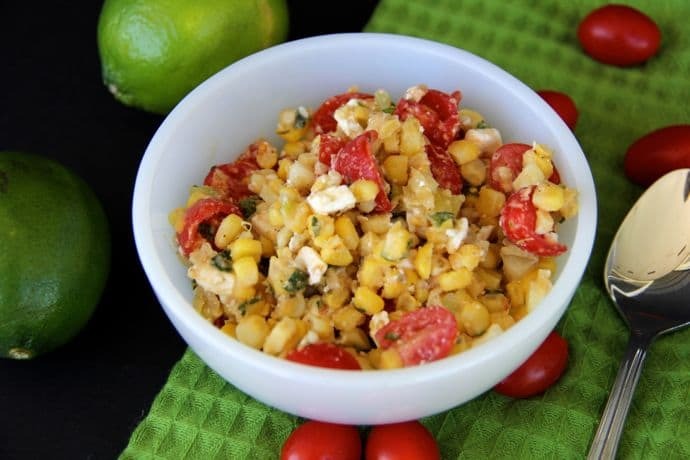 Yes, we have eaten this delicious corn salad a total of six times in about three weeks. It’s too amazing for me not to share the recipe with you! -Cut corn kernels off each ear of corn. Set aside. -Warm butter and 2 T. olive oil, add garlic and sauté for about 30 seconds. Then add the corn until just tender (about 4 minutes). Add the thyme and the green onions and sauté for about 1 minute. Season with salt and pepper and cool in refrigerator for about 1 hour. 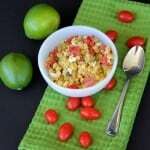 -In a seperate bowl combine tomatoes, cheese, 2 T. olive oil, salt and pepper, and basil. 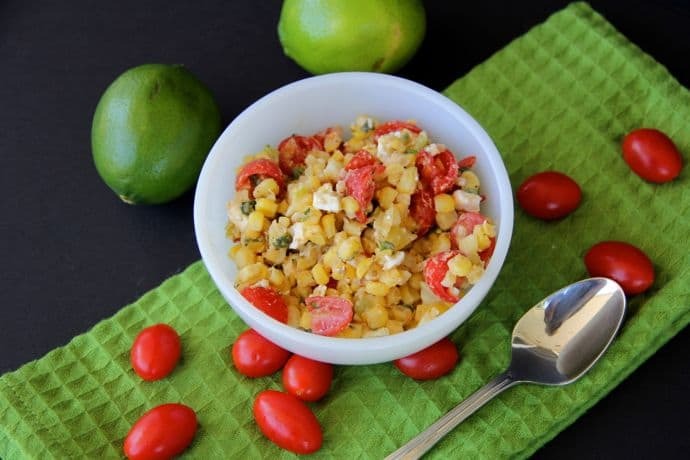 -After corn has cooled combine with tomato mixture and toss with lime juice. Serve cold. We have eaten this as a meal alone, as a side to just about anything, and as a salad. My friend also just suggested using Trader Joe’s frozen fire roasted corn to save a step, so next time I’m bringing groceries back from the city I’m going to grab some and try it! I hope you love this delicious summer salad as much as we do!